Great guns need great accessories. Like products from US PeaceKeeper, manufacturers of nylon products with exceptional quality and pricing, plus a lifetime warranty. From cases to packs, range bags to shooting mats, US Peacekeeper products are not manufactured solely for style and price point, but designed for durability. In a market full of nylon gear, US PeaceKeeper strikes the balance in price and affordability. This case is designed with a dual purpose. It is designed to accommodate most popular pistol caliber sub-machine guns with magazines attached or it can accommodate most short-barreled AR-type rifles with an overall length of 25" or less. 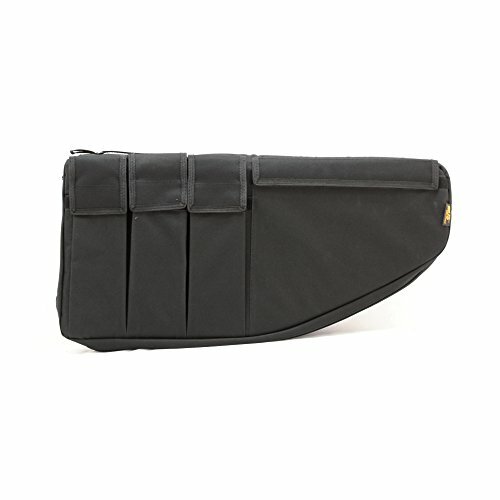 Exterior pockets for magazines and other gear. The length of the case is 26 inches and this is an outside dimension.